So, What Is Geriatric Dog Care? 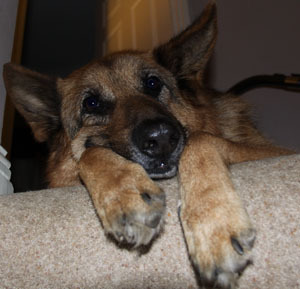 As our dogs age they require specific care known as geriatric dog care. This is the best care you can give your older dog as it's one that provides specialized (and usually preventative care) to extend the quality of your best pal's life. After all, you've been through thick and thin with him, I'm sure you just want to keep him fit and active for as long as you can. 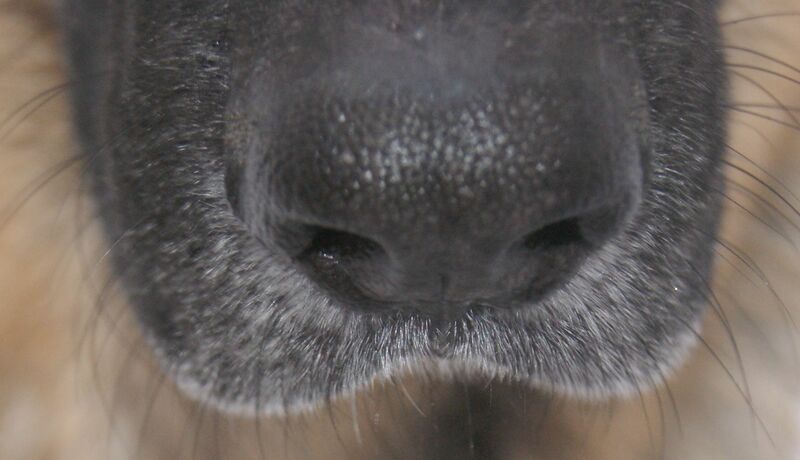 Just like us, dogs experience certain common illnesses once they get older. They age quicker than we do but suffer many of the same age-related conditions. The key to successfully treating many illnesses is starting as early as possible. Knowing the warning signs to look out can help detect illnesses early, many of which can be cured, reversed, or at least slowed down. OK. So now to the warning signs in senior dogs. In addition to a twice a year full exam, you should take your elderly dog to the vet immediately if you notice any of the following signs or symptoms. These signs and symptoms could be an indication of common health problems in older dogs such as kidney failure, liver problems, cancer, diabetes mellitus, or Cushing's syndrome. 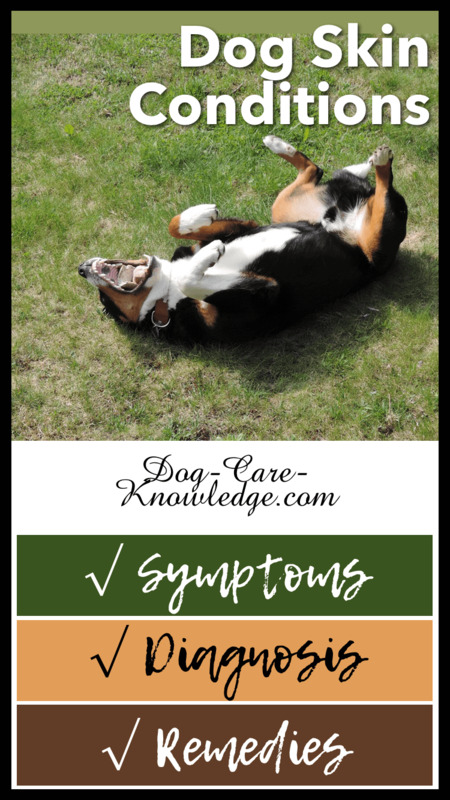 Don't be too panicked though, it could equally be something less serious, so it is imperative that you get your senior dogs checked out by the vet as soon as you notice any of these symptoms. Having said that, kidney disease in older dogs doesn't have symptoms until it's advanced. 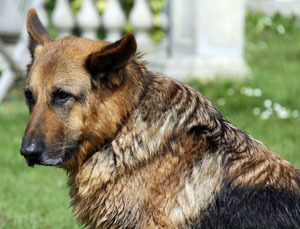 Kidney disease is a slow progressive disease that affects many older dogs. Unfortunately symptoms of kidney disease aren't usually noticed until the kidneys have already been impacted by more than 70%. At that point you might notice increase in thirst or urine volume but the kidneys will have already suffered a lot of damage. Symptoms of kidney disease aren't noticed until the kidneys lose approx 70% functionality. Good news though, you're going to catch this early on if you speak to your vet about the tests (mentioned below). ERD (Early Renal Disease) is a simple urine test to pick up on kidney failure in the very early stages. 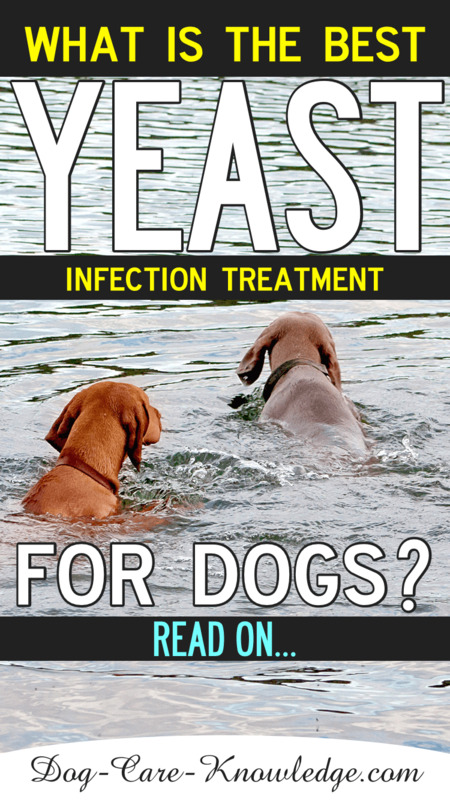 Early detection means they can slow the disease down and extend the life of your dog. Speak to your vet about having this test (and others) done once your dog hits his senior years. 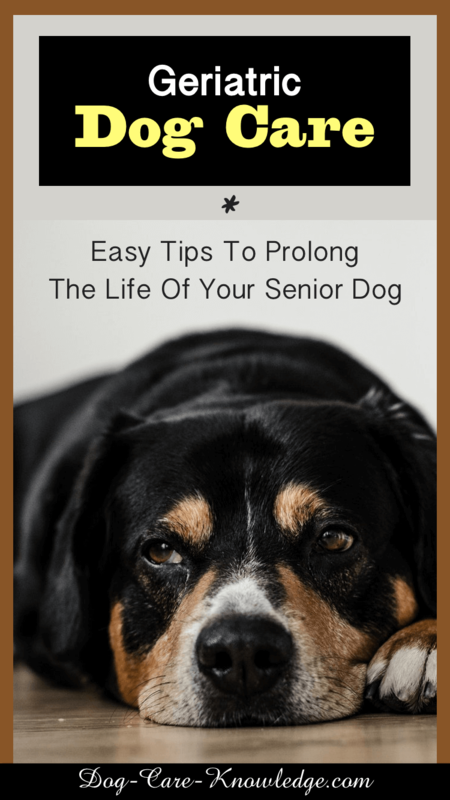 Before we get to what we can actually do to prolong the quality of their life, let's look at what to look out for with older dogs and determine at what age they are considered "geriatric". Ever wondered at what age your dog is considered a geriatric or even a senior for that matter? And yes, there is a difference! Basically your dog is a senior once his relative age is in his mid-40s. He is considered geriatric when his relative age is in the 70s upwards. Relative age simply means a canine's age relative to human years. The general rule of thumb is that dogs age seven years to our one but that is pretty inaccurate most of the time as not all dogs age equally. 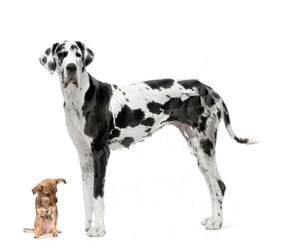 Research has shown that the age of a dog (relative to humans) depends on breed, health, genetics, activity level, but most of all, it depends on their size. 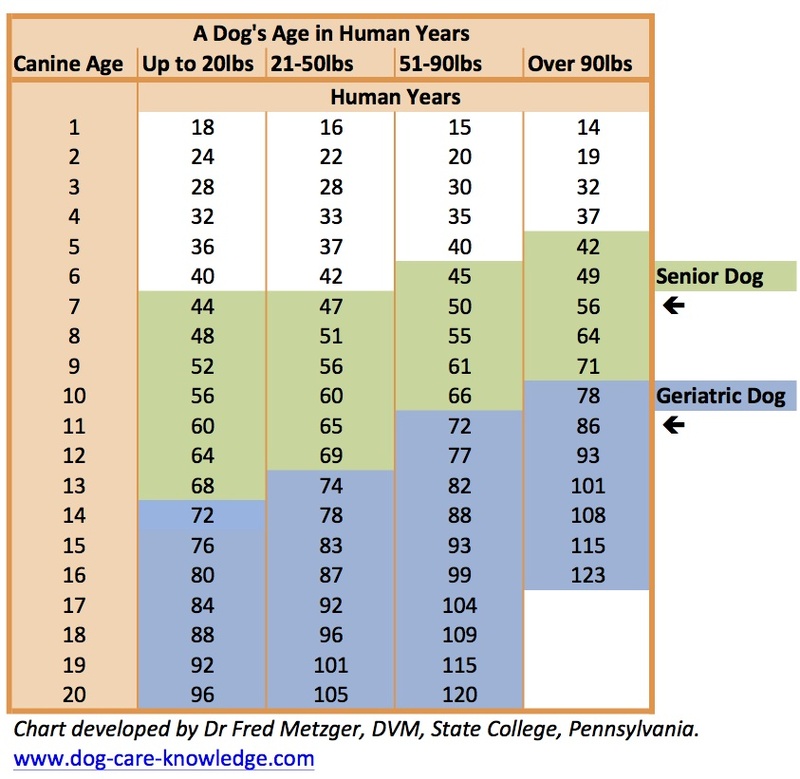 Here is a great chart that shows the age at which dogs are seniors and geriatrics dependent on their size. As you can see from this chart, small dogs, on average, mature faster and have a longer lifespan than larger dogs. The average lifespan of dogs in general is 13 years. But don't be too despondent if you have a large breed dog, (like I do) these numbers are only guidelines and there is plenty we can do to extend the lifespan of our dogs. Providing your dog the best possible care throughout his life is the number one factor in achieving good health. Being vigilant during their senior years will catch any potential health problems in the early stages. In the case of the geriatric dog, prevention and early diagnosis is key. Although dogs don't reach geriatric status until they are in their 70s (relative age) we need to start monitoring their health and taking preventative steps when they reach senior status. Quality care throughout your dog's life is paramount, but keeping an eye out for potential warning signs in your older dog, once he hits these age brackets, is probably the biggest factor to extend his life. My dog, (Hudson, a 90lb German Shepherd) has been having all these tests since the age of six. My vets now have a clear baseline of tests to know what is "normal" for him. And yes, he has twice yearly vet visits. Many dogs that reach geriatric age share common issues with joint and brain cognitive function (much like us then). Again, similar to humans, there are a couple of supplements that will help with both these problems. First, a good all round supplement that helps with both joint and brain function is omega-3 fatty acids such as eicosapentaenoic (EPA) and docosahexaenoic (DHA). EPA and DHA are both long-chain polyunsaturated fatty acids and are primarily found in fish oil, especially salmon oil. My favorite salmon oil supplement for dogs is Pawsome Naturals Wild Alaskan Salmon oil for dogs. You can find more information on why here. Another product that is proven for helping with geriatric dogs is quality products containing a combination of glucosamine, chondroitin and MSM. 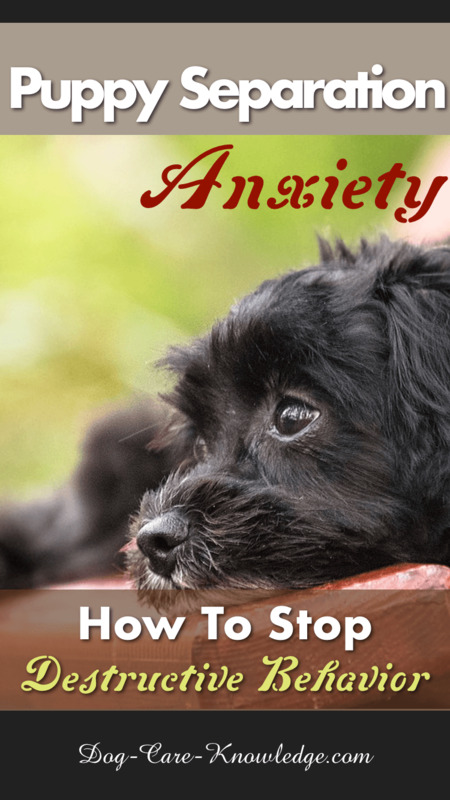 This combination is beneficial in restoring your dog's joint function. Many owners report a near to normal return of mobility in dogs suffering from arthritis or osteoarthritis. The two market-leaders for this supplement are Dasuquin and Cosequin. The biggest difference between the two (apart from the price) is that Dasuquin has an addition ingredient - ASU, which stands for Avocado and Soybean Unsaphonifiables. ASU is reported to be more effective in relieving stiff, aching joints and has a history of working better for older dogs with advanced arthritis. I guess that's why it's also more expensive. Contrary to what some dog food manufacturers would have us believe, we don't need to switch our dog's food just because they've entered their senior years. Yes, there are many "senior" diets out there but if your dog is maintaining a healthy weight, and doesn't have any specific health conditions, then you can keep them on the diet they're used to. If your dog falls into any of these categories then speak to your veterinarian (or ask a certified online veterinarian). Don't just make the switch without reviewing the new diet to ensure it meets the specific requirement of your dog. Senior diets are not all the same and you wouldn't want one that is designed to cut calories if your geriatric dog is underweight! More than ever, you're going to need to try and keep your older dog's teeth in good condition. Unfortunately, dogs require anesthesia for any dental work including proper cleaning. Brushing them daily will help to prevent many problems developing but there's other things you can do too. Finally, geriatric dog care tends to be specific to each dog. As your dog ages, you'll find that you get a deeper understanding of your own dog and know them better than anyone else, including your vet. Many vets know this and will acknowledge it, so will frequently rely on your knowledge of what is and isn't usual for your own dogs. This is a huge advantage for our dogs. Trust your instincts, and give your vet as much information as possible if you suspect your senior dog's health is impacted in any way. After all, no-one knows your dog like you do!